To Fit: 850, S/V70 Series up to 2000 (Classic Shape), Left side. Diesel and "AWD, R" Models + Ex Police Cars. - 4 bolt fixing to subframe with eylets. 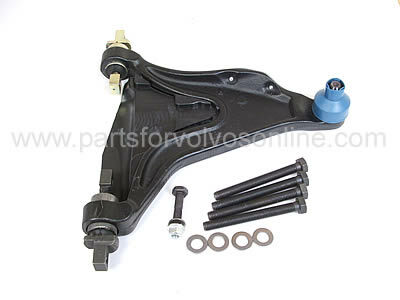 Original equipment quality, Swedish supplied aftermarket Suspension Arm.